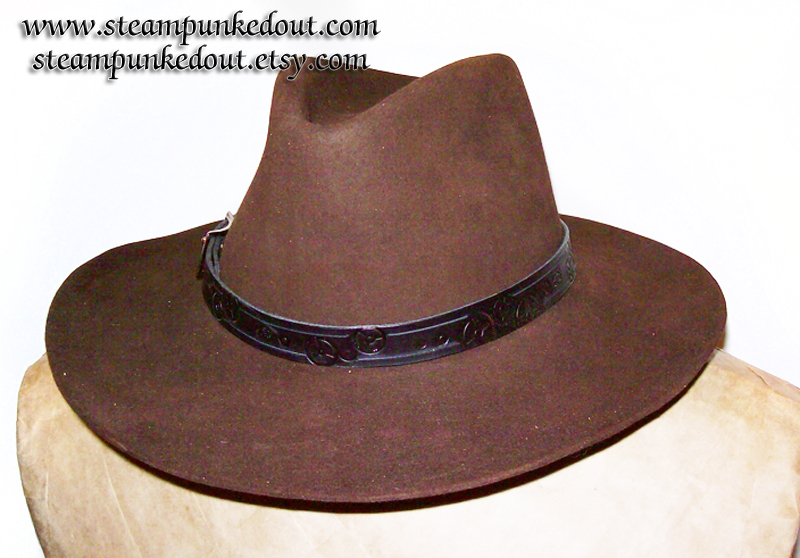 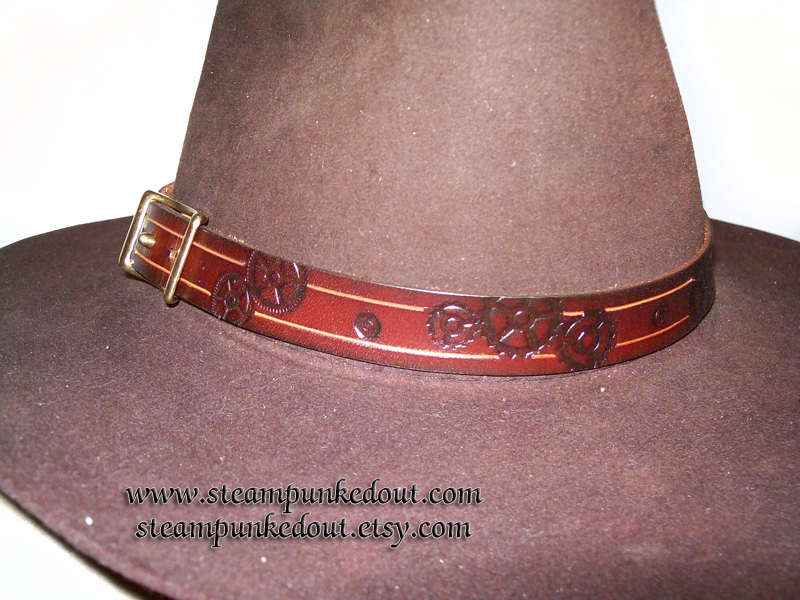 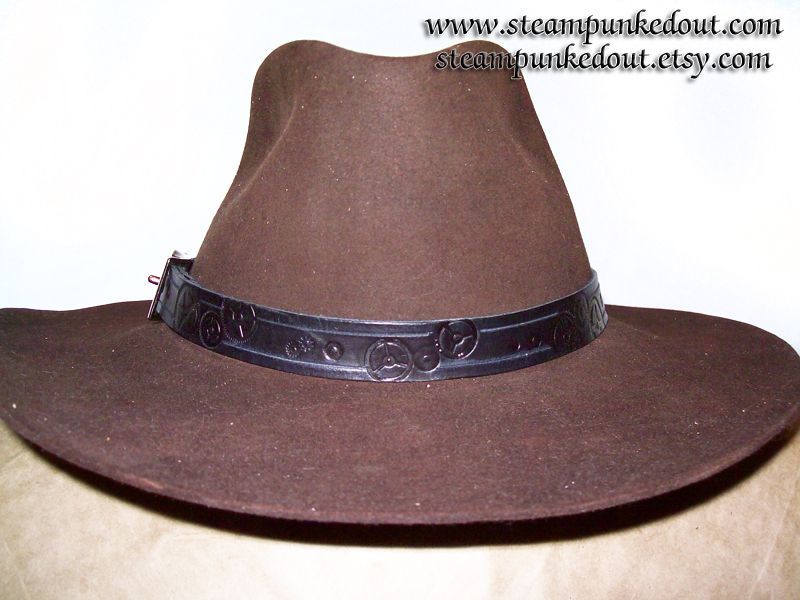 A Steampunk Empire member asked if I would make hatbands, so here they are, and newly redesigned! 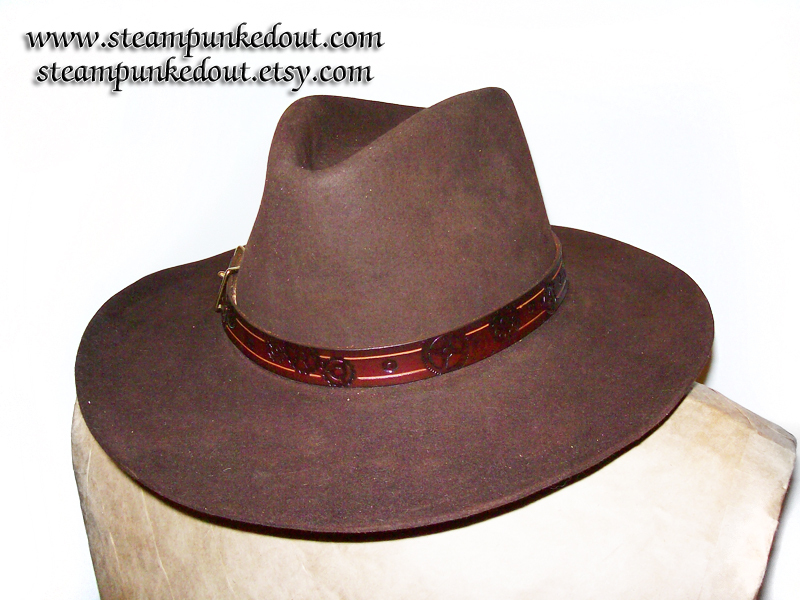 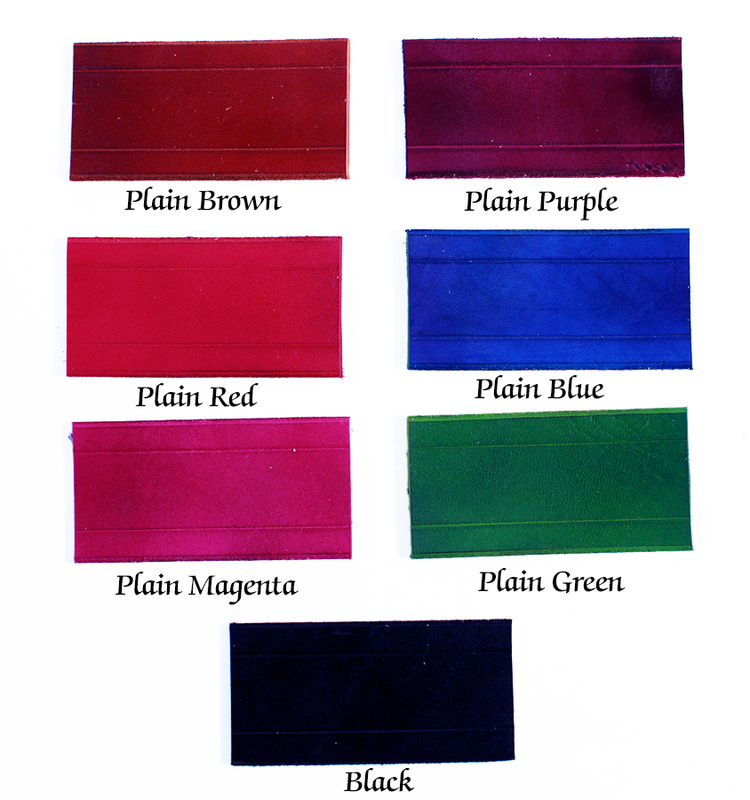 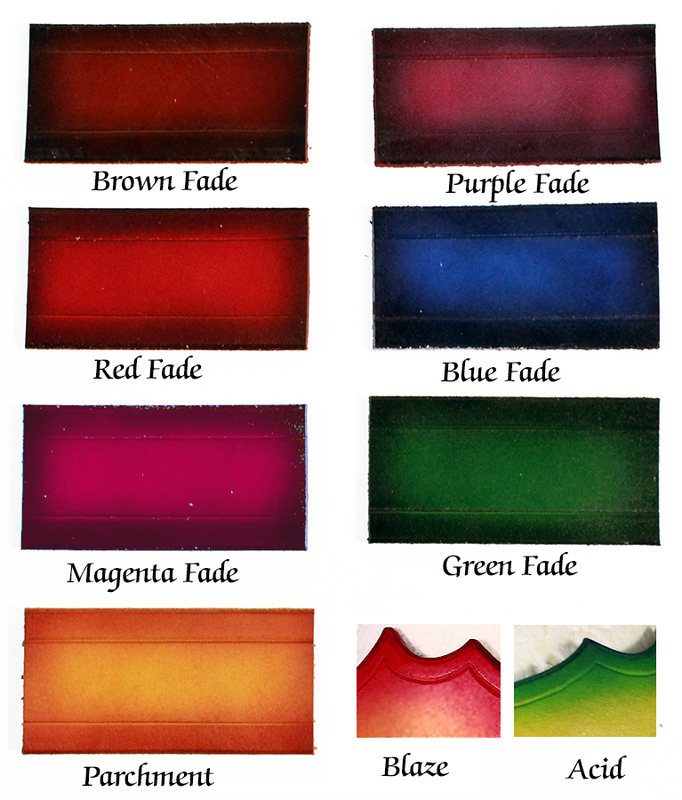 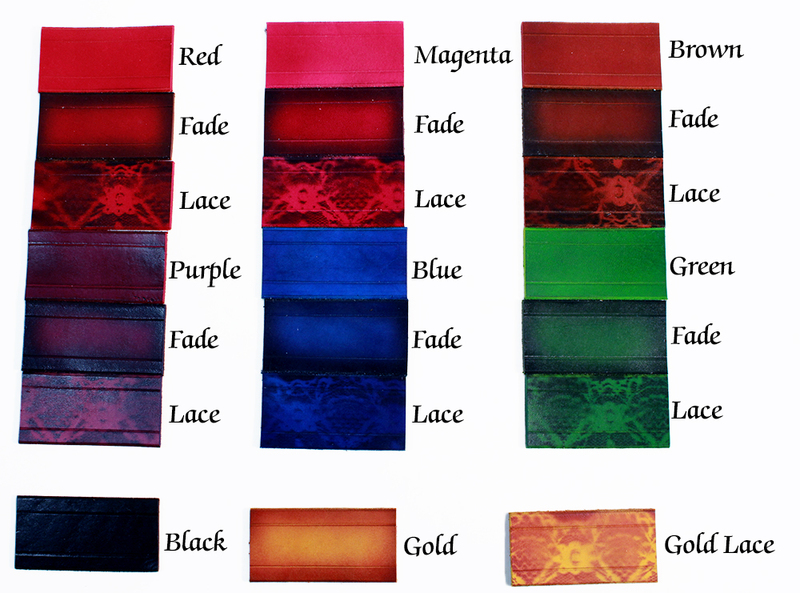 This 3/4" wide hatband is made from a 5oz veg tan leather that can be finished in your choice of color. 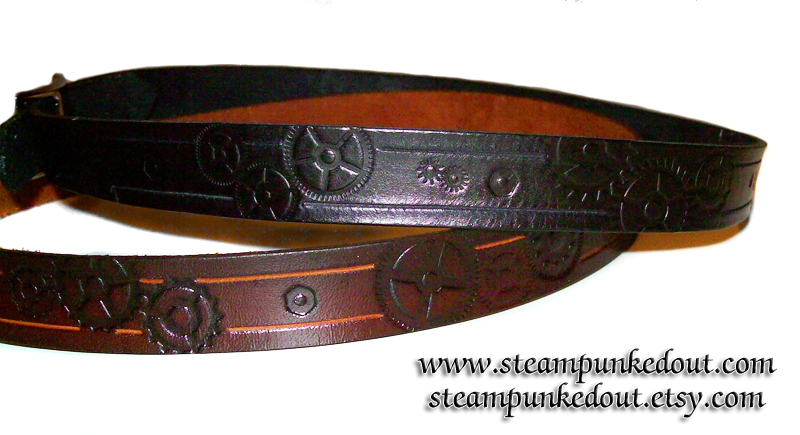 It is tooled with clockwork designs on it's entire length. 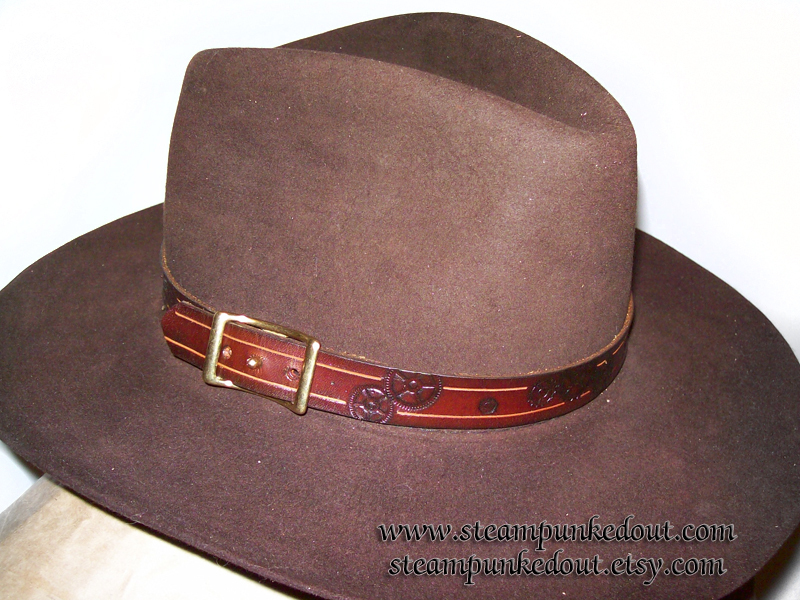 The new style uses a conway buckle for greater adjustability and comes in brass or niuckle plate. 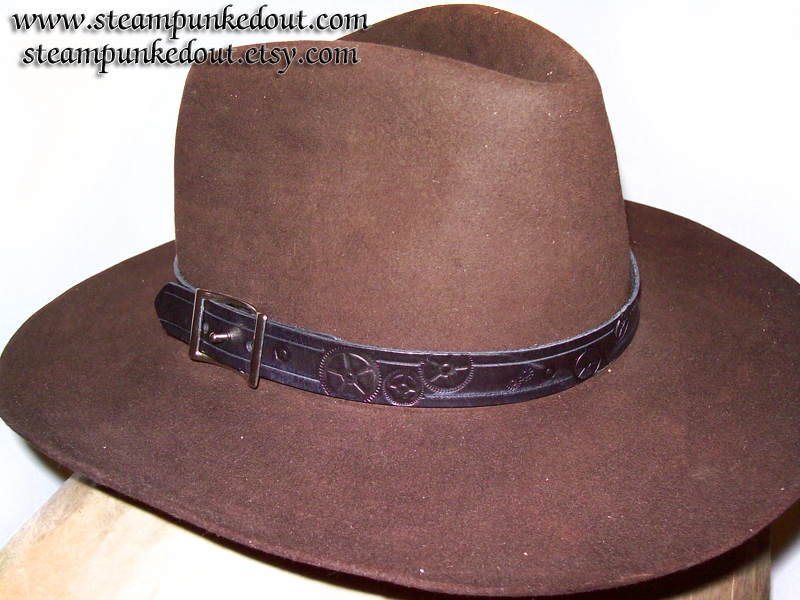 Great for all kinds of hat styles.